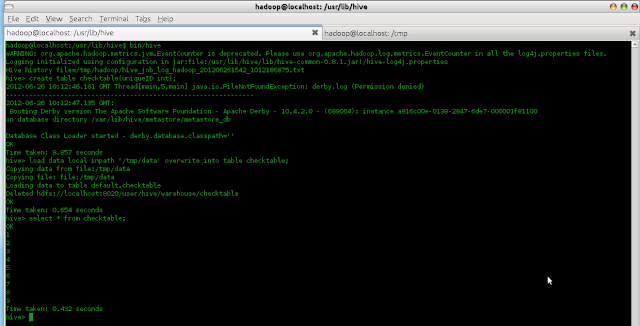 In the previous post we learnt how easy it was to install Hadoop with Apache Bigtop! We know its not just Hadoop and there are sub-projects around the table! So, lets have a look at how to install Hive, Hbase and Pig in this post. Please follow the previous post and get ready with Hadoop installed! All Set?? Great! Head On.. The steps here are almost the same as Installing Hive as a separate project. However, few steps are reduced. 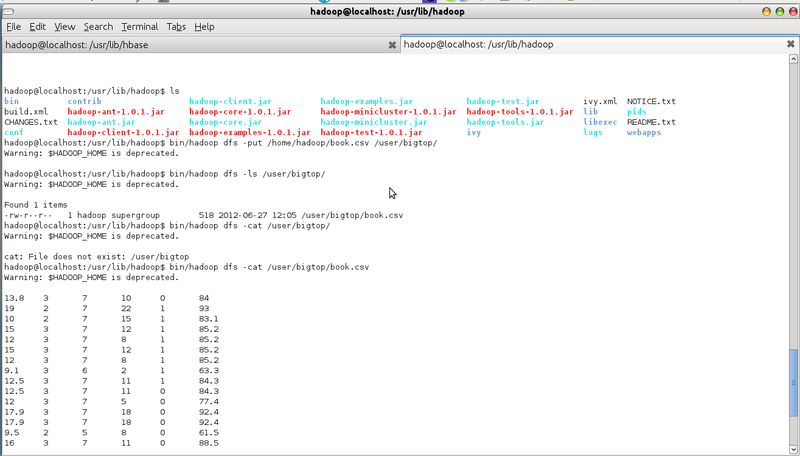 We have installed Bigtop 0.3.0, and so issuing the following command installs all the hive components. ie. hive, hive-metastore, hive-server. The daemons names are different in Bigtop 0.3.0. This installs all the hive components. After installing, the scripts must be able to create /tmp and /usr/hive/warehouseand HDFS doesn't allow these to be created while installing as it is unaware of the path to Java. So, create the directories if not created and grant the execute permissions. Installing Hbase is similar to Hive. Installing Pig is similar too. 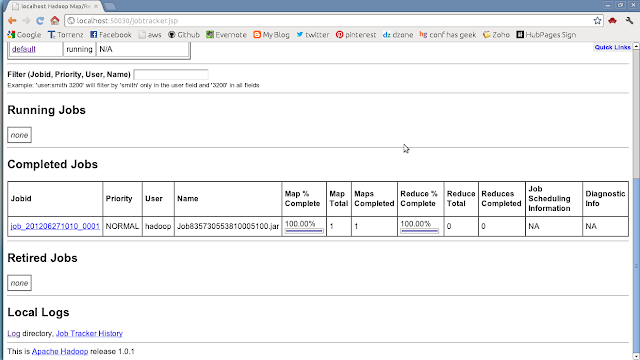 We saw that is it possible to install the subprojects and work with Hadoop, with no issues. Let us see how to install other sub-projects in the coming posts!